Thank you for viewing our gallery of event photographs from past celebrations! Hover over any image for more information or click an image for a larger view and slide show. Summer reception with ivory, coral, blush and gold. 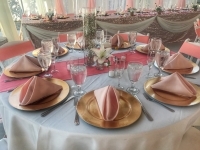 Beautiful place setting with ivory, blush, coral and gold. Standard linen, napkins, plates, silverware and glassware included for no extra fee. 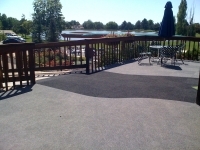 Overlays available for additional charge. Tree wells surrounding Rose Garden Pavilion. 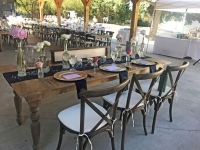 Gorgeous sweethearts table with linen and decor by Delicate Designs. 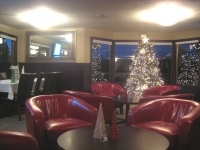 Bistro lighting available for rental. 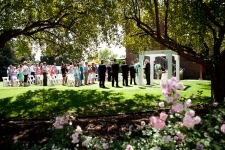 Navy and blush reception under the Rose Garden Pavilion. 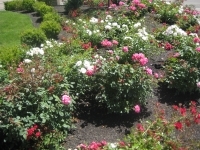 Roses at golf course entrance. 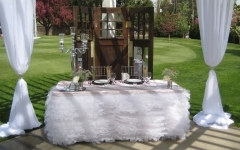 Blush sequin linen head table! 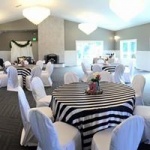 Decor by Idaho Decor Rentals. 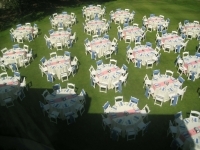 Rose Garden Lawn available for additional seating. 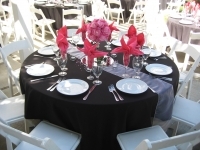 Black linen with white organza sash runner and fuschia napkins. 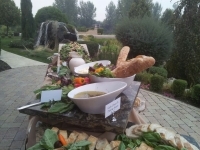 Centerpiece by Idaho Decor Rental. One of our favorites! 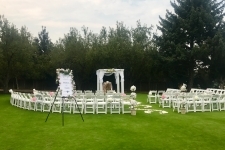 Decor and floral by Idaho Decor Rental and K. Costa Floral. Entrance to the Rose Garden Pavilion. 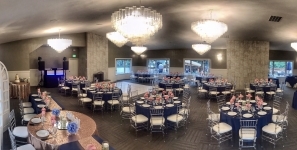 Reception in our Cedars Ballroom. 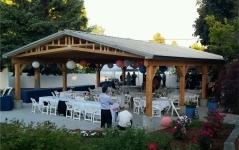 Dance floor by outside vendor. 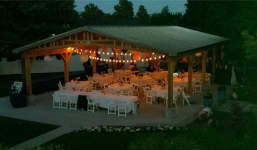 White dance floor with swirl lighting package available for an added fee. 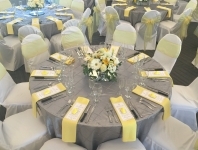 Wedding reception set for 206 with silver pintuck linen and yellow napkins. Cake facilitated by outside vendor. 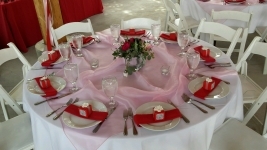 Silver pintuck linen available for an extra rental fee. Gift and card table brought in by hosting party. 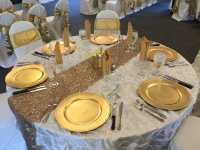 Ivory pintuck linen, gold sequin runners and gold chargers available for additional rental fee. 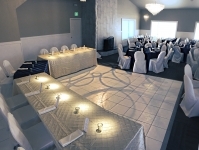 Reception with long tables in the Cedars Banquet Room. Ivory linen with champagne organza overlay (additional rental fee), dusty rose napkins and beautiful centerpiece by offsite florist. 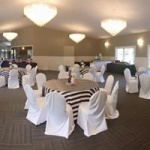 Patio off of the banquet room included for no additional fee. Floral by K. Costa Floral. Highly recommended! 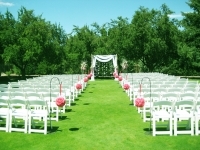 Summer ceremony with beautiful floral. 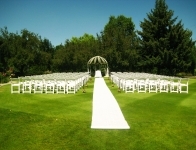 Front view from circular ceremony. 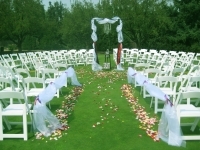 Half circle ceremony layout with floral aisle decor. 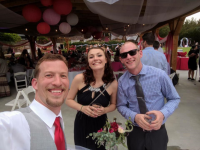 Congratulations to this beautiful couple! Photo by Raft Media. 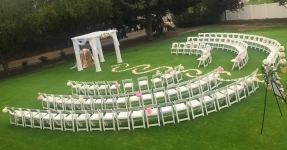 Traditional rows set for 180 on the Rose Garden Lawn. Tent on the Rose Garden Lawn. 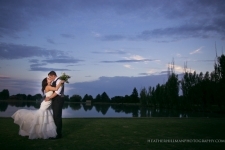 Rental by Tates Tates and Events. 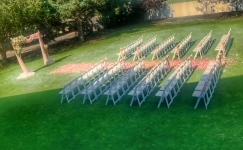 Back view of ceremony. Photo by Eagle Photography LLC. 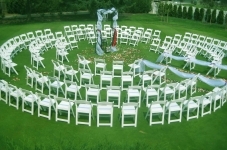 Spring ceremony on the Rose Garden Lawn. Photo by Tamara Kenyon Photography. 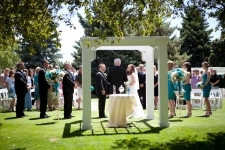 July ceremony on the Rose Garden Lawn. 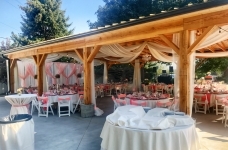 Arch and aisle decorations by Idaho Decor Rentals. 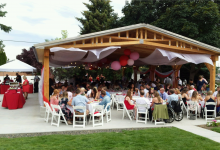 Waterview Pavilion ceremony. Additional charges apply. 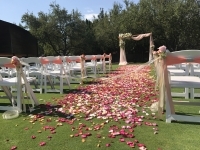 We love this floral aisle decor! 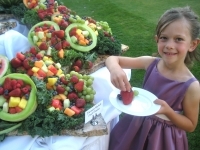 Flower enjoying the fruit display! 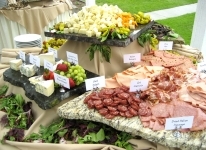 Antipasta display with Italian meats, imported and domestic cheeses and grilled vegetables on natural stone. 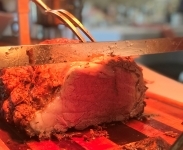 Double R Ranch USDA choice prime rib of beef with sea salt, garlic and thyme crust. 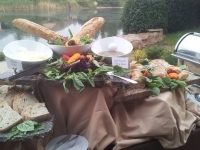 Custom bread display with dipping sauces. 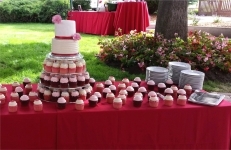 Custom offsite catering by Eagle Hills Golf Course. Japanese Spring Rolls and Caprese Skewer appetizer display. 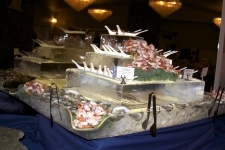 Custom seafood station with marinated shrimp, ahi poke and oysters on the half shell. 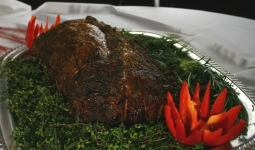 Plated Prime Rib for professional photo shoot. 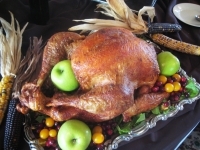 Whole roasted turkey for Thanksgiving buffet. 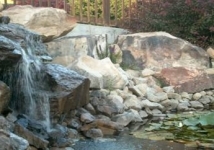 Gorgeous pond available for photographs. Photo by Flash Point Unlimited. 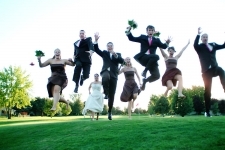 Bridal party jump. Photo by Flash Point Unlimited. Photo by Heather Hillman Photograph. September bride and brave groom! Photo by Will White Photography. Photo by Flash Point Unlimited. 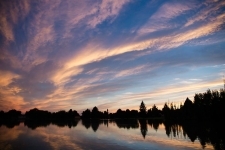 Sunset photo by Lindsey Wilber Photography. 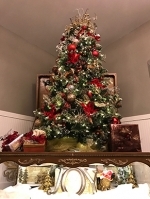 Stunning ceiling height Christmas tree with music box stand. 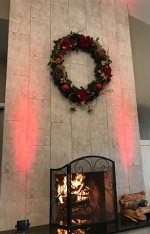 Wood burning fireplace with festive wreath and red uplights. 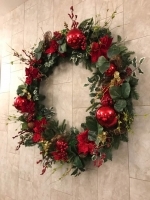 4.5&#039; wreath with red and gold decor to match the Christmas tree. 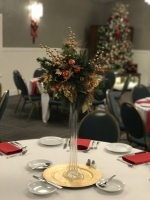 Centerpieces with matching red and gold decor in tall Eiffel tower vases. 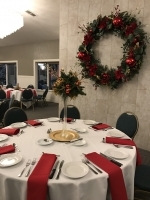 Some variation to centerpieces may apply. Garland on entrance mirror and under the bar top. 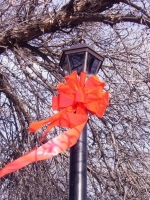 Festive wreaths on outdoor light posts. Ballroom entrance with garland and smaller tree decor. Santa came to visit Eagle Hills! 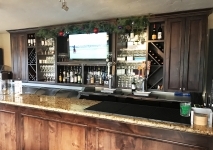 16&#039; bar with custom woodwork and holiday decor. 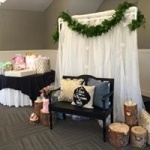 Baby shower present opening bench. 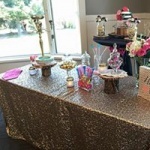 Baby shower table and candy table. 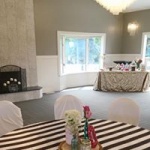 Baby shower with striped tablecloths.